How can a company grow organically? 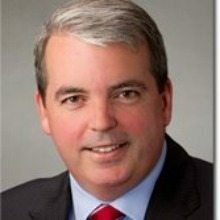 When Paul Dillahay was tapped president and CEO of the Reston, Virginia-based enterprise solutions provider NCI in October 2016, after previously serving as executive vice president of health and litigation solutions at industry heavyweight CACI, he faced that very question. Fast-forward a year later, and Dillahay and his team are on course to achieve a key benchmark: If current projections hold steady, NCI will round out 2017 delivering roughly 7 percent organic growth — and that’s all in a year when the pipeline was, by Dillahay’s own admission, thin, as the company looked beyond smaller jobs to more impactful work; and where the company saw significant staff changes; as well as the regrettable incident involving a former employee who embezzled $19.4 million. Facing all of these challenges head on, Dillahay is eager to take the next leap in the company’s evolution, as it builds on its 28-year legacy since being founded by industry veteran Charles Narang. That’s where that organic growth comes in — and in many ways, is remarkably improbable given the challenges that Dillahay faced upfront. Yet, just as Dillahay was given the growth mandate by NCI’s board, he outlined a strategy focused on three key areas: people, process and pipeline. “We are a services business — we have 2,000 employees that I’m fortunate enough to lead — and we needed to up our game as a leadership team with engaging those employees,” said Dillahay, whose first year has taken him on a road show of sorts, visiting 11 company sites nationwide — these include Grove City, Ohio; and Baltimore, as well as Army bases such as Fort Huachuca in Arizona, Fort Belvoir in Virginia and Fort Stewart in Georgia, with the intent of ultimately seeing 65 percent of NCI’s employees by end of year. “Having employees proud of whom they work for was part of what I was focused on,” Dillahay said. In turn, he’s implemented key steps such as having business development report directly to him versus to a COO. “I wanted to get clear visibility into the priorities of business development, and how that organization was running,” Dillahay said. Facilitating that effort is a key hire: Last December, a newly led NCI hired 30-year military and government industry expert Bridget Medeiros as corporate senior vice president of business development — all just one month after Dillahay came onboard himself. Together, they’ve taken a hard look at the company pipeline, prioritizing opportunities for near and far term, as much as 18 months out, which build on NCI’s capabilities around modernization and IT infrastructure. “We had that backbone, of our employees, and heritage to leverage, and now it was a matter of having the right disciplines from a growth perspective — and being able to execute,” Dillahay said. Medeiros, in turn, has drilled down further into core capabilities that NCI should leverage. “We came up with a strategy and focused on three core growth areas — agile, analytics and artificial intelligence — building on our core critical infrastructure,” Medeiros said. Finding people who fit into that strategy — and who could locate any key gaps — soon followed. Such efforts spell a more robust pipeline as NCI heads into 2018. Thinking bigger, more impactful work, the company is bidding on more contracts in the $100- to $200 million-dollar range. For Dillahay and his team, that means jobs that weave in some element of agile methods or analytics, as well as the burgeoning field of artificial intelligence. “We’ve also really tried to look for a way to bid on work that isn’t pure staff augmentation but allows us to different ourselves with a solution — we have a really strong core team of solution architects,” Dillahay said. In keeping with its newly rebranded theme — “Navigate, collaborate, innovate” — NCI continues to beef up its investments in innovation. By the beginning of next year, the company’s Reston facility is now home to an innovation hub, known as the CREATE Lab, where commercial technologies and best practices, as well as pilot programs and customer data, are all put to the test. That partnership recently took center stage, when NCI entered into an exclusive partnership with the Columbus, Ohio-based CrossChx, Inc., a startup company founded in 2012 that has built an AI solution, Olive, which acts as the intelligent router between systems and data by automating repetitive, high-volume tasks, and workflows to provide seamless interoperability for organizations. In the meantime, NCI is running seven-pilot programs across the federal sector — among them, at CMS. In addition, NCI has projects for the Army focused on cybersecurity, and Dillahay sees additional opportunities ahead at DHS and USIS. The need, Dillahay added, couldn’t be greater. Those innovations, coupled with a respectable organic rate for 2017, may spell even bigger gains for NCI as it heads into 2018, with Dillahay at the helm. Stay tuned.